Maplewood patrol officers seized a handgun from a convicted felon during a disturbance call on Tuesday, the department reported on Facebook and Twitter. 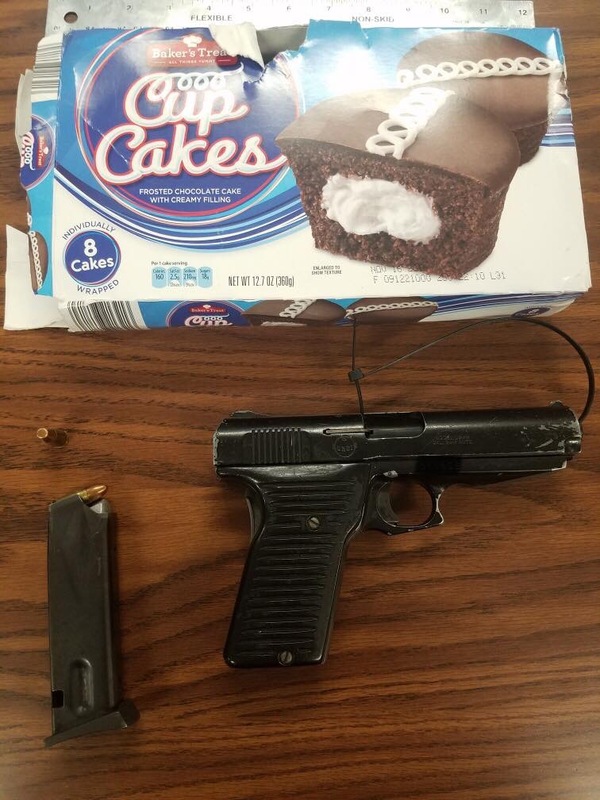 The handgun was found inside a cupcake box. So I guess “convict scum” is right out, Amy? “Felon” is a legal term. It is the correct term in this context (of a 18USC922 prohibited person in possession of a firearm). A felon is a “felon.” It is the term used in law. I refer to bleating screaming Lefties as SJWs. I do appreciate the SJW Phrase Guide though, as I love a good laugh. By now it should be apparent that I don’t care what the Lefties/SJWs think. What’s wrong with being a social justice warrior? This link can benefit many. Thanks for sharing, Amy. Agreed! Thanks for sharing, Amy! Hope no kids in the house. Not a smart place to hide a gun. Doug, I would love for you to think critically about the language you use when speaking about people with felony convictions. Labels like “felon” reduce an individual to violations they’ve been convicted of rather than their humanity, and we’re all more than our worst act. I’ve found this handy tool to be helpful: https://opportunityagenda.org/explore/resources-publications/social-justice-phrase-guide. Thanks for the consideration, and for your continued coverage of Maplewood news!